The Air Force is seeking talented and motivated high school and college students with solid character and demonstrated leadership potential. In the Air Force ROTC program, cadets are students first and spend an average of four to six contact hours weekly as freshmen/sophomores. As juniors and seniors, cadets spend six to 10 hours of contact time weekly as they work to build and refine their leadership skills. Successful completion of a four-year accredited degree program and Air Force ROTC leads to a commission as a second lieutenant in the best Air Force in the world. The first two years of the Air Force ROTC four-year program, the General Military Course, consist of one hour of classroom work, two hours of leadership laboratory, and three hours of physical conditioning each week. Upon completion of GMC requirements, cadets who wish to compete for entry into the last two years of the program, the Professional Officer Course (POC), must do so under the requirements of the POC selection system. This system uses qualitative factors, such as grade-point average, detachment commander’s evaluation, aptitude test scores and physical fitness test scores to determine a student's officer potential. 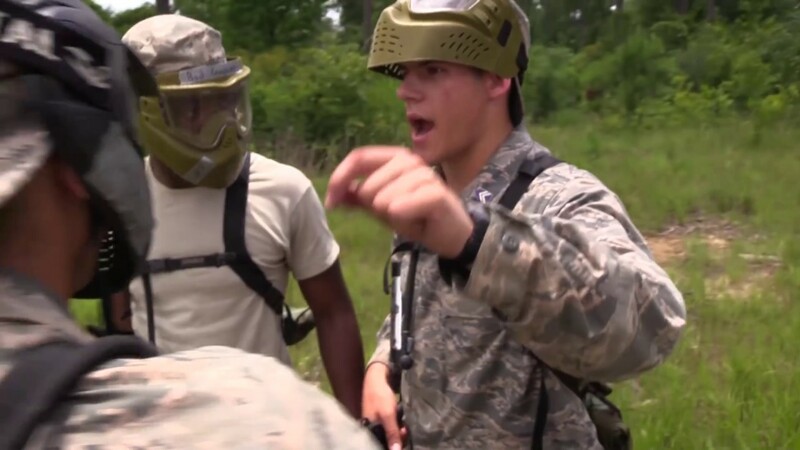 After selection, students must successfully complete a four-week summer field training program at Maxwell Air Force Base, Montgomery, Alabama, before entering the POC. In the POC, cadets attend class three hours a week, participate in a two-hour, weekly leadership laboratory, and perform three hours of physical conditioning per week. Cadets apply what they have learned in the GMC and at field training. POC cadets conduct the leadership laboratories and manage the unit's cadet corps. Each unit has a cadet corps based on the Air Force organizational pattern of flight, squadron, group, and wing. POC classes are small, with emphasis on group discussions and cadet presentations. Classroom topics include leadership, communication skills and national defense policy. 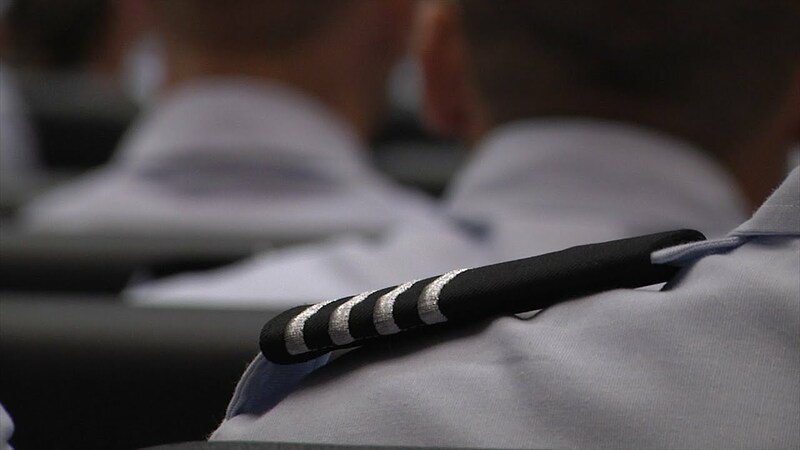 Once enrolled in the POC, all cadets are enlisted in the Air Force Reserve and assigned to the Obligated Reserve Section. Citizens who have considered serving their country in any capacity and joining a world-class winning team can contact Air Force ROTC for more information: Air Force ROTC, Recruiting Branch, 551 East Maxwell Boulevard, Maxwell AFB, AL, 36112-6106, call toll-free, 1-866-4AFROTC (1-866-423-7682) or go to http://www.afrotc.com. If you are interested in Active Duty assignment opportunities in Air Force ROTC, Officers please contact Holm Center/SDP at (334) 953-9673, Enlisted please contact Holm Center/CEM at (334) 953-5420. If you have any questions about Air Force ROTC scholarship opportunities please call us at 1-866-4-AFROTC (1-866-423-7682). AFROTC Disinguished Alumni Nominations Now Being Accepted! The ROTC Distinguished Alumni Program is now accepting nominations. Click on the link to learn more about the program and nomination requirements. Be sure to reference AFOATS 36-2801 for further instructions.